Pick up your fervent brain and your wild beating heart . . . Secret Science Club is stepping out for a night of pre-Valentine's revelry and illumination! Join us as we head uptown for a one-night-only special event . . . Physicist Robert Davies and the acclaimed Fry Street Quartet converge at Symphony Space for the NYC debut of the Crossroads Project. "Transformative . . . impassioned .... a powerful collaboration . . ."
Fusing art, science, and new music, Dr. Davies and crew take a profound look at the state of the planet in what can only be described as an intensely immersive experience. 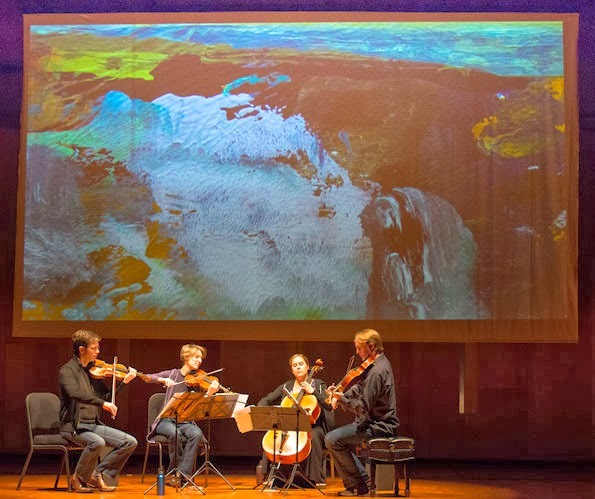 Davies' scientific presentation is masterfully merged with the music of composer Laura Kaminsky and projected visual artworks in an ever-evolving, explosive exploration of Earth systems and the human condition. Join the Secret Science Club at the pre-party at 7 pm and get your drink on with special guests Gavin Schmidt of NASA and biogeochemist William Schelesinger of the Cary Institute of Ecosystem Studies, who will be on hand before and after to interact, along with artists, the composer, and musicians. 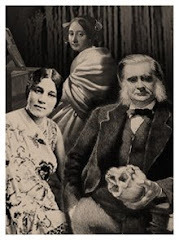 Tickets are just $20 with code SCIENCE at symphonyspace.org or 212.864.5400. PLUS! You get a free Lagunitas micro-brewed beer (IPA, PILS, or Lil Sumpin) with your ticket if you use the code (courtesy of the Bar Thalia)! Be still, my beating heart! SOLD OUT! WHERE: Symphony Space, 2537 Broadway @ 95th St in Manhattan. Subway: 1, 2, or 3 train to 96th Street.